Kawasaki Z250 prices start at Rs. 3.08 lakh (Ex-Showroom). 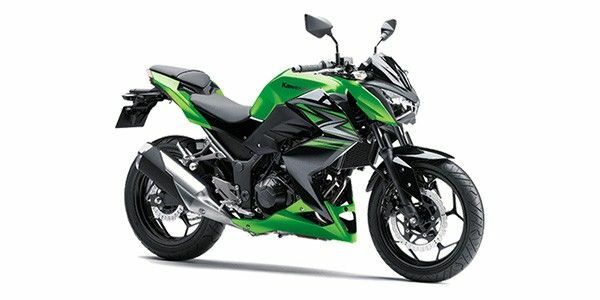 Kawasaki Z250 is available in 1 variants and 1 colours. Share your experiences with Z250? The claimed ARAI mileage for the Kawasaki Z250 petrol is 26 kmpl. Q. 2019 Z250 looks same as 2018? Q. Which one to buy a Ninja 300 ABS or Z250? Q. Which one is the best among Yamaha R1, Kawasaki Ninja 300, Kawasaki Z250 and Hyosung GT250R? No, ABS is not available in Kawasaki Z250. Q. Will this has comfort and what is the top speed of this beast. What is their riding position and what is the mileage? Q. Is there any updated z250 2019 model planned ? As of now there is no official news available regarding this from brand's end. Kawasaki will be launching the 2017 model of the Z250 on April 22nd. Apart from being BS-IV compliant, the new model will feature ABS and a slipper clutch. The Kawasaki Z250 is a great motorcycle for long distance touring, everyday riding or if you plan to shed rubber during the weekend track days, a feat very few motorcycles in our market can boast of. The other aspects going in its favour is the swashbuckling styling and the engineering prowess of its parallel-twin motor with top notch build quality. At Rs 2.99 lakh, it's a pricey consideration, when you can get a Ninja 300 for just Rs 55,000 more. New Kawasaki Bikes Launch On July 7. What Do You Think They Could Be?